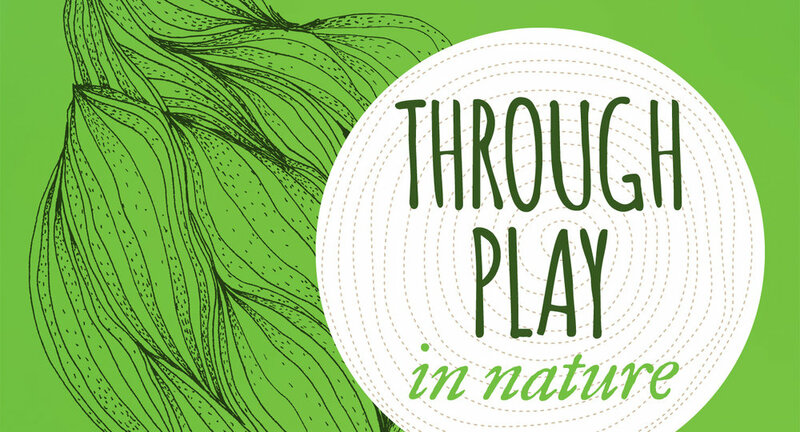 ThroughPlay in Nature is a parent-education research program sponsored by the University of Utah and The Kendeda Fund that is designed to explore the role of nature play in healthy child and adult development. It builds on our multimedia presentation about play by adding new short films, photos, music, and a second take-home booklet, all of which are focused on the benefits of nature and outdoor play. The first ThroughPlay in Nature presentation took place on May 16th, 2017. It has been repeated several times and will continue through 2019. You can find some of the film, music, and photography highlights here. See a representative page from the booklet here. In coordination with the Ogden Nature Center and the Airmen and Family Readiness Center at Hill Air Force Base, we have also been organizing nature outings for military families that build on the educational presentation. Here are some photos from our first four outings in 2016 and 2017. What better place to unleash imaginations than in the great outdoors? Outdoor play is particularly conducive to healthy and positive child and adult development. It is an ideal environment for stress relief and focus, exercise and fitness, and cooperation and teamwork. We think of “nature” as including direct, unstructured settings like forests, mountains and national parks, as well as indirect settings such as nature centers, zoos, botanical gardens, and playgrounds. Children’s play becomes more creative in nature as kids reimagine open spaces and found objects in unexpected ways. A long stick becomes a fishing pole or a paint brush to dip in mud along the river bank; pine cones become characters in a miniature drama; rocks become cars, boats, or building materials. Outside, kids can stand atop a mountain and survey the land like great explorers; they can hide behind trees like secret agents; bake a cake of flowers and twigs like the next Top Chef. But of all these positives, there is one benefit that may stand above the rest – the capacity of nature to induce awe and a sense of wonder in both children and adults. Awe is a feeling of deep engagement in response to natural wonders or spectacular beauty. It’s an aesthetic play state that involves our senses and perceptions. While grand, unstructured spaces like Bryce Canyon are great places for experiencing awe, we can capture the same feeling in a tiny patch of nature, even in our own backyard garden. These moments of being wrapped up in nature are extremely important for children. The scientist and writer Rachel Carson – one of the founders of the modern environmental movement in the 60s -- thought that a child’s sense of awe and wonder set the foundation for lifelong learning. She believed this emotional engagement with nature in early childhood set the stage for a later intellectual interest in the world. For adults, these moments of awe and deep engagement with nature are equally important. Research shows they can transform our everyday consciousness and put us in touch with a sense of peace and connection with the world around us.